Google is doing all it can in its power to ensure that our Android devices stay secure. That’s why it has Google Play Protect running in the background to keep us nice and safe. According to Google, Android was built with security in mind since day one. But given the amount of malicious apps that have managed to creep into the Play Store in the past few years, one can easily denounce such a statement. But, that doesn’t mean Google is not hard at work fixing the wrongs that happened in the time that has passed. 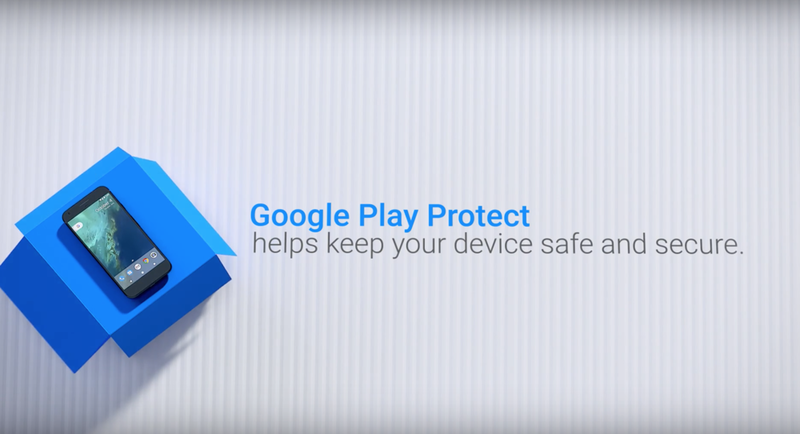 Today, the company is announcing Google Play Protect. It’s a nifty little service that runs in the background and scans apps that may be malicious or cause some sort of harm. Once it stumbles across something that does not abide with Google’s guidelines, Play Protect will help you get rid of the app from your device altogether. Interestingly, with Android having 2 billion users around the globe, the service scans 50 billion apps on a daily basis. That is a lot of apps to scan for that might be potentially harmful for billions of devices across the globe. What’s more important is the fact that Google Play Protect runs on every single device that has Google Play installed on it. The service constantly monitors and scans apps on a daily basis and keeps itself updated too so that nothing manages to slip by. You can even download the dedicated app for Find My Device on Android. It’s absolutely free.